On 4th and 5th of April 2019, Wholesale Investor will host our most important conference to date in Singapore. The Advanced Tech and Blockchain Investor Convention. 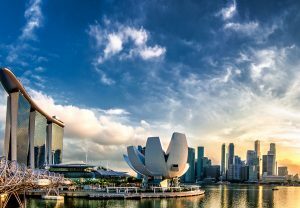 Singapore is currently the leading destination in the Asia-Pacific for accessing Venture Capital. But why would we host this event and why’s it important for you as a Founder or Investor to attend? It’s simple. The technologies we will showcase to over 500 high-net-worth investors and professional investment groups (VC, PE firms, Family Offices, Funds, Investment banks and capital access enablers), will seamlessly integrate into our lives and change everything about the way we live, work and play. Artificial Intelligence, Machine learning, Internet Of Things, Robotics, Autonomous Vehicles, Blockchain and crypto over the next 5 years will begin to integrate into our everyday experiences. Think about it for a moment. It’s not a question if, it is a question of when and how! The truth is, it has already started, too. For a child under the age of 5, by the time they are 21 their experience will be nothing like yours and mine. It is unlikely they will use cash, unlikely to drive the car, technology will be seamlessly integrated into their work and lives, and it is unlikely their job has even been invented yet, and if it has, it definitely involves technology at any stage. I love Wholesale Investor and what we do. I get so see emerging technologies 5 years before people even know they exist. I love the theme of this conference because I learn from it. It is a unique opportunity to gain insight into the future of several sectors. “I am passionate about assisting companies on their journey of raising capital. I’ve raised capital, it’s not easy. I’m more motivated by the fact that the each and every company we assist, will change the way we live, work and play for the better…” Steve Torso, 2019. Over the last few years, Blockchain and distributed ledger technology has continued to dominate the conversation. Financial markets are investing heavily into it, new economies and financial instruments will be created, jobs will be removed, new industries will be created and marketplace efficiency will exponentially increase. If you look at history, marketplaces will always move towards efficiency. On the crypto side, the interest in stable coins, security token exchanges has increased. The potential for the Lightning Network and Ethereum upgrades will accelerate the long term adoption of cryptocurrencies in everyday life. With legislation, comes increased adoption, minus the hype. The crypto winter has seen many projects disappear, but also many projects have adapted and continue development. This is innovation. Nothing stays the same and the strength of entrepreneurship is the ability to adapt and thrive whether markets are up or down. In structuring this event, we want to bring the people leading the charge in these areas, together to collaborate. We want to invite the founders, investors and dealmakers who are championing innovation and investing into the future. These are the visionaries and people that inspire me. I want to provide you with the opportunity to be inspired also. For Australian and International investors, I’d like to invite you to come to Singapore. Not only will we make sure you get the latest information and access to some incredible deals, but we will also absolutely make sure you experience the best networking environment. I have 10 complimentary tickets to give away, you can access yours here. For the Singaporean Investors. We look forward to seeing you soon. Finally, if you’re looking to raise capital and showcase in Singapore, access our in-market analysis of Singapore here and register to showcase here. 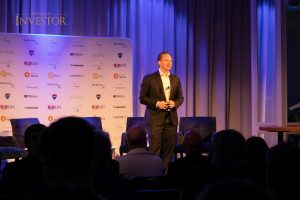 Steve Torso addresses Emergence Conference 2019 – venture capital, private equity, family offices and funds.